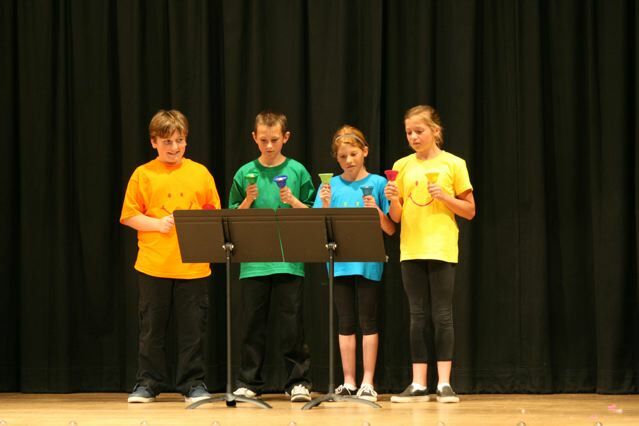 “If your Happy and you know it” on handbells. Most Acts are young girls and boys grinding their mid areas to rap and then the handbells act. Simple, sweet, and age appropriate!